August Smart Lock: Over the past decades, the world became different when we talk about technology. At sometimes Technology is good and at times it’s very weird. With the daily advancement of technology, everything is made east on our fingertips. The easiest way to transform your house into a smart home is to lock and unlock our front door automatically without your presence over there. This is possible by your Smartphone with an App. 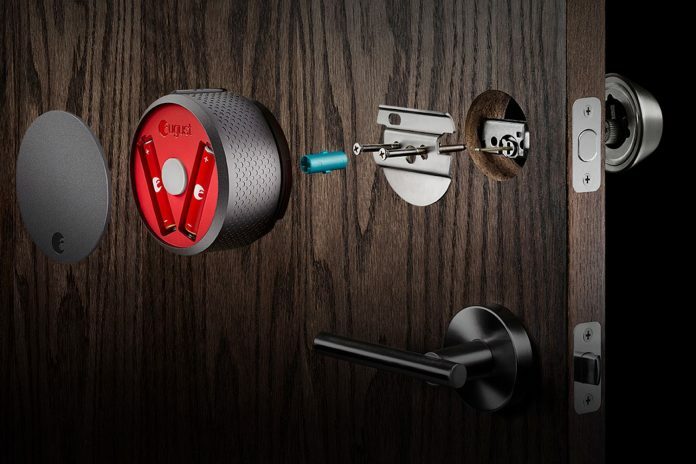 This Smart Lock is for you. Yes, AUGUST SMART LOCK is one such product in the market which is an automated system. Auto Lock and Unlock: allows you to operate locking and unlocking of your front door wherever you are. Automatically unlocks when approached to the door. We can even turn on or off this feature if we want. Create virtual keys: We can create virtual keys to guests and family through an app on your Android or iOS, Letting your near and dear into your home without your presence is made so easy when out of town or at the office. Spy: we can also know the activity log of who enters and exits your home and get instant notifications to our mobile. When worried about your security and privacy of the home, enables you to keep away unwanted people to enter. 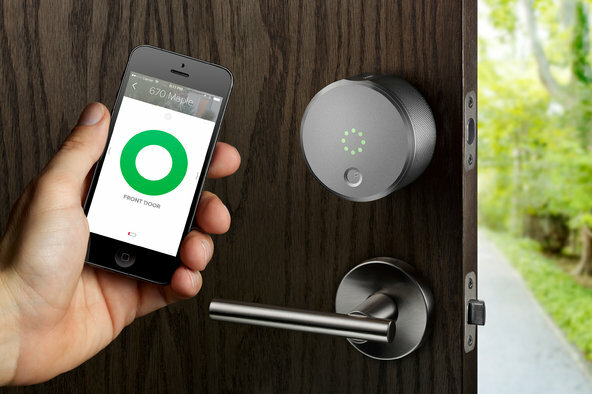 It is not a painful and lengthy procedure, and it is very easy for installation of this Smart Lock to your home. As original hardware of our door remains constant and can be used whenever wanted manually. This just adds an extra layer to the existing lock. Without the smartphone also the owner can enter the door. Unless and only if the Owner accepts, this Smart App does not access other people. The Key Master will only be the owner who accesses it. But to the note of the users, the smart lock isn’t connected to a wireless router or the electrical service, resulting in not worrying about the power outage. This Smart Technology welcomes to a home which is simple and secure.